Helles Belles? 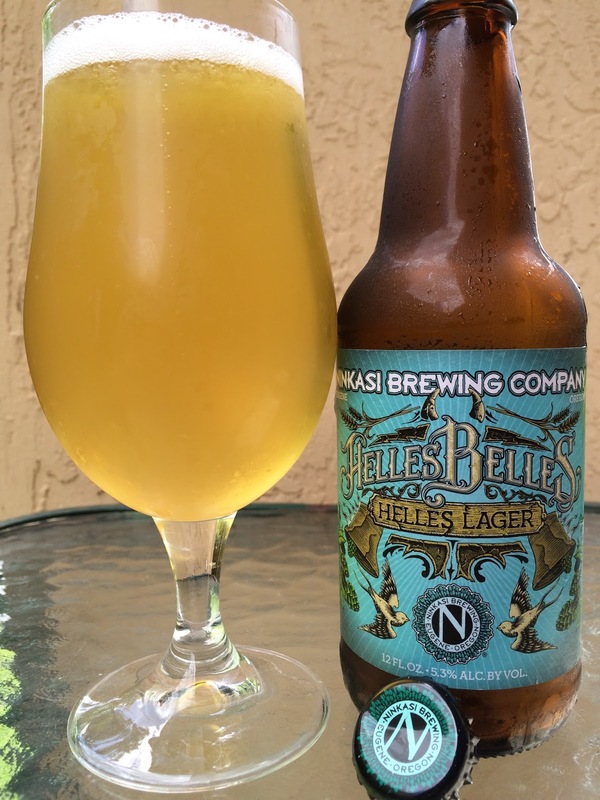 Pretty good name for this Ninkasi Brewing lager, which the brewery website lists as part of their #HellesYes tour! Last night, as I was closing down my local South Florida Total Wine (who BTW got this second shipment of Oregon's Ninkasi beers in another brewery direct deal), my cashier from Portland wanted to chat about the newly redesigned labels and her excitement about their availability here. I was going to ask her for her phone number, but my wife was with me! The label is pretty cool with two big church bells surrounded by little thumbnails of birds, barley and hops. 5.3% alcohol. 28 IBU. 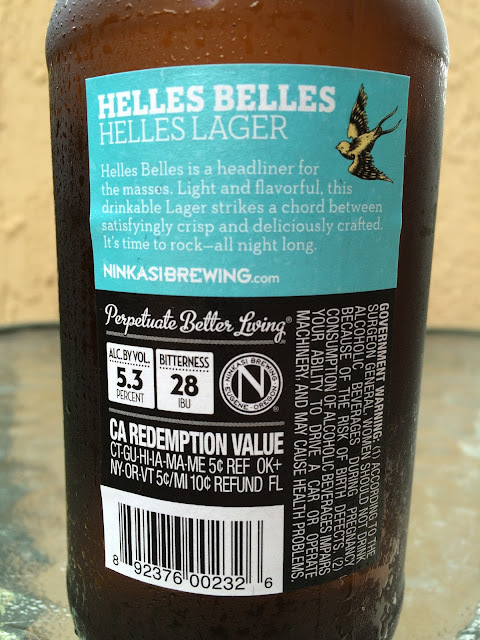 The story on the back label puts you in the mood, ending with a brewery catchphrase "Perpetuate Better Living." Pleasant grainy sweet aroma, not pronounced. Similar flavors, sweet and toasty, answered by great bitterness. Clean and refreshing with some sharp, hoppy nips, light spice at the palate. Was expecting a little more but not bad, definitely tasty. Could easily put down a sixer (tonight)!